Like all other forms of marketing, social media marketing centers around getting the attention of your present and prospective customers. But, social media marketing success does not end with the creation and sharing of interesting and high-quality posts. 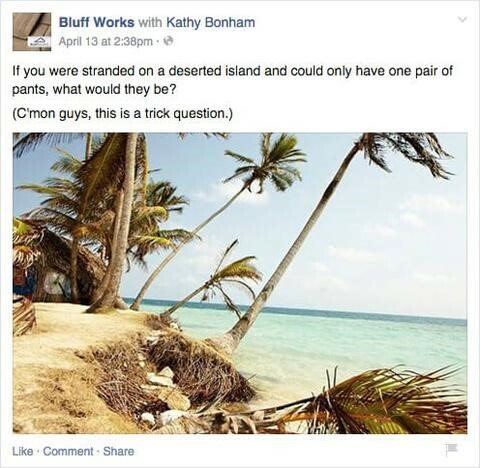 Your target audience will engage with a post when you post it precisely when they are more likely to see it. 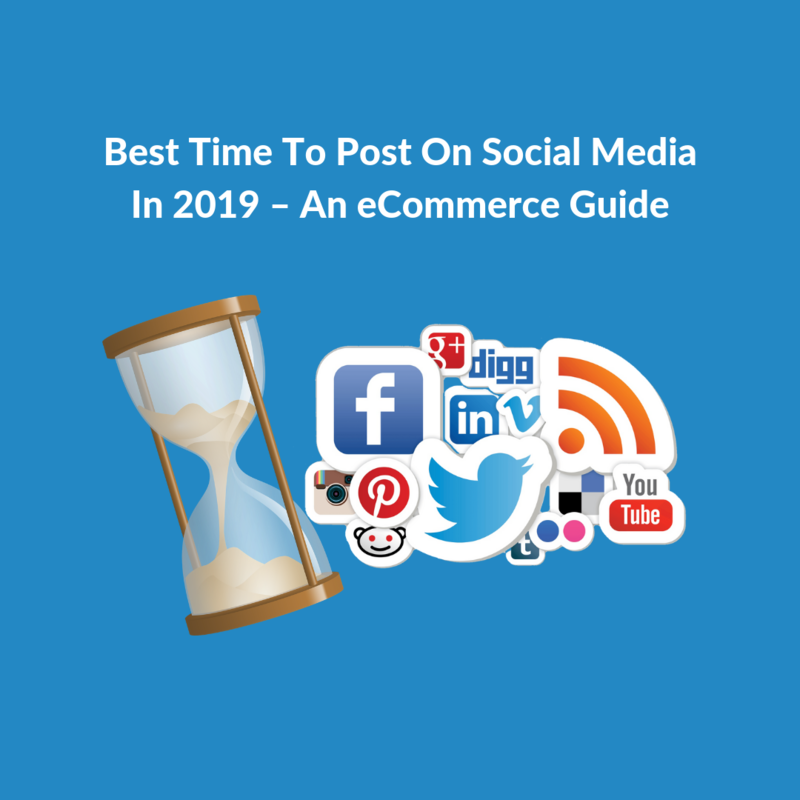 Thus, finding the best time to post on social media in 2019 is the key to engaging the right kind of people at the right time. Download your guide on Instagram Influencer Marketing, full of tips and tricks to help you choose influencers for your eCommerce business. As businesses are getting ready to wrap up this year, and gearing up for the next, they are also busy planning their social media marketing strategy for 2019. And a big part of that plan is to answer questions like what is the best time to post on social media in 2019 and how often to post on social media. So, what really is the best time to post on social media? If you want me to answer that question in one sentence, I would say – “The best time to post on social media is when your customers (both present and prospective) are online”. But, I will have to burst your bubble and tell you, that it is not that simple. Apart from the fact that there are some magical times during the day when you should schedule posts on social media, it is also important to know that each social platform has a different time that works best for their audience. What I am saying is, the best time to post on Facebook is different than the best time to post on Instagram. On top of that, when you consider different time zones it starts to get a little more complicated. In this article, I’ll break down specific times to publish your posts for different social media platforms and will also talk about the types of content you could share on each of these, along with some apps that post on social media for you. Which time zone should you consider to post on social media? For a startup eCommerce business, like a Shopify or a WooCommerce store, it is not always possible to cater to every time zone. Ideally, you would like to choose a time zone which will reach the most of your target audience at once. So, if your target market is the United States and Canada, you are likely to tap the EST time zone as that covers places like New York and Toronto and has the highest number of people. Choose a time zone which will reach the most of your target audience if you want to do social media marketing for your eCommerce business. Tweet This! Similarly, if you’re targeting London, posting within the UTC time zone may be a good idea. Social media eCommerce trends indicate that the use of social networks for eCommerce is on the rise with an estimated global eCommerce sales of $4.5 trillion by 2021, a 246.15% rise. Hence, questions like why post on social media and what are the implications of not posting on social media are becoming more and more irrelevant. Now, the only question that needs to be answered is when to post on social media for maximum engagement. It is more or less safe to post on Facebook on weekdays between 1 pm to 4 p.m. for those who would like to indulge in a bit of online shopping during lunch hours at work. Weekends are usually considered to have the lowest engagement rates for consumer goods brands. Since Facebook’s audience is highly coveted by online businesses simply because of its sheer reach, you could have a regular flow of informational content, industry news and updates, and product promotions. These will generate brand loyalty and increased sales. 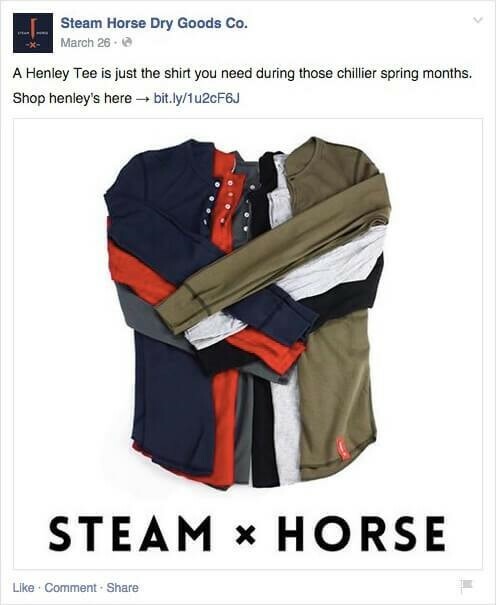 Remember to have an effective CTA to your posts on Facebook, like Steam Horse Dry Goods Co. below. The post is crisp, to the point and has a clear CTA. 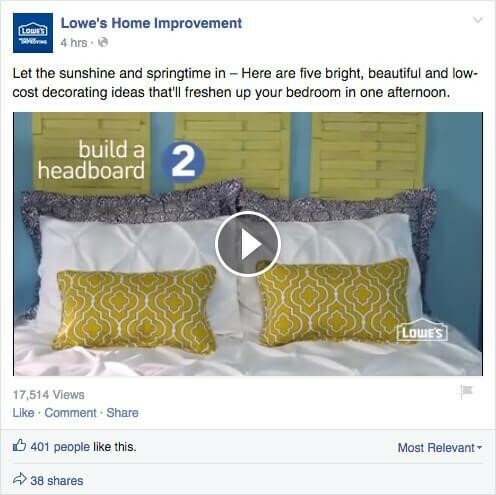 Lowes posted a short video on their Facebook page suggesting five inspiring ideas to improve the look of your bedroom. The best time to post on Instagram for online retailers is Saturdays and particularly at 11 a.m. and 1 p.m.
Wednesday has been seen as the day with the most engagement. Monday is the least engaged day for consumer goods, maybe because people are more likely to catch up on work, and everyone, in general, is more focused on getting ready for the week ahead. Primarily a photo sharing app, Instagram is highly impacted by product images and is a key driver of brand awareness for eCommerce. New product launches, lifestyle posts, and user-generated content teamed up with effective hashtags have been seen to be doing really well on Instagram. You could also post short videos. 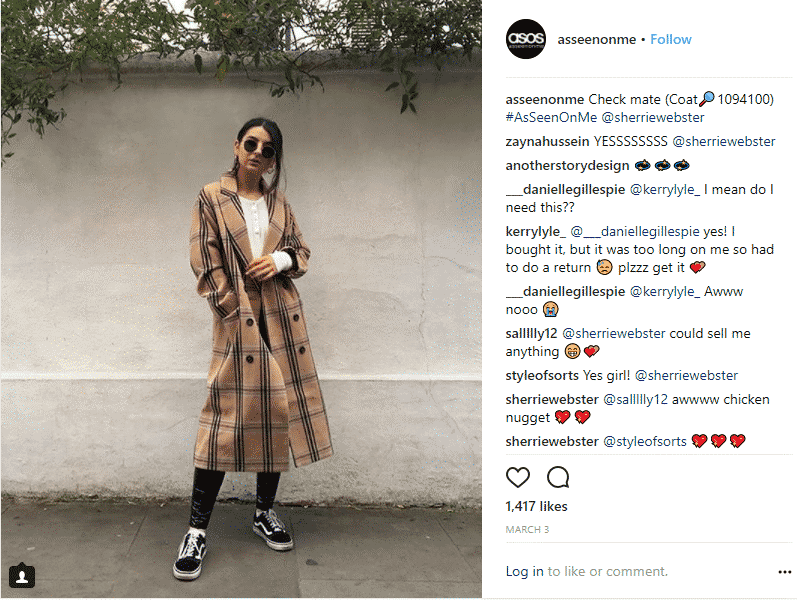 In the following campaign by ASOS, the company asked customers to share pictures of themselves on Instagram with the hashtag #AsSeenOnMe. These pictures were then featured in the gallery on the ASOS website and feed. The campaign attracted huge engagement. 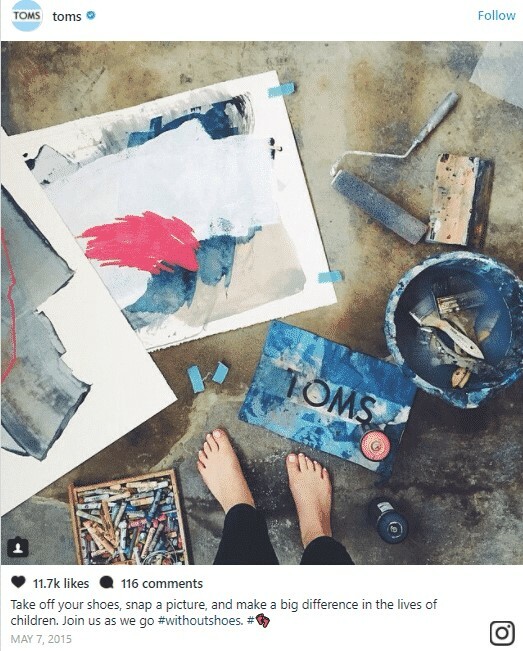 TOMS, an online shoe retailer recently went viral with their #withoutshoes campaign, where every time a user posted a photo of their shoeless feet on social media with the hashtag #withoutshoes, TOMS would donate a pair of shoes to someone who needs them, to up to a total of 100,000. The safe time to post on Twitter is between 1 to 3 p.m. every day. The best day and time to post on Twitter for eCommerce brands is on Saturdays at 1 p.m.
Sunday has been reported to be the lowest in terms of engagement but has seen some engagement at 11 a.m. and between 1 to 4 p.m. on this day. Staying active on Twitter matters the most, because of the nature of this particular social media platform. People are constantly talking and interacting with each other. Customer reviews and testimonials, user generated content, product launch announcements, special discounts and offers can be posted on Twitter. Try publishing posts to promote your blog or website on Twitter. 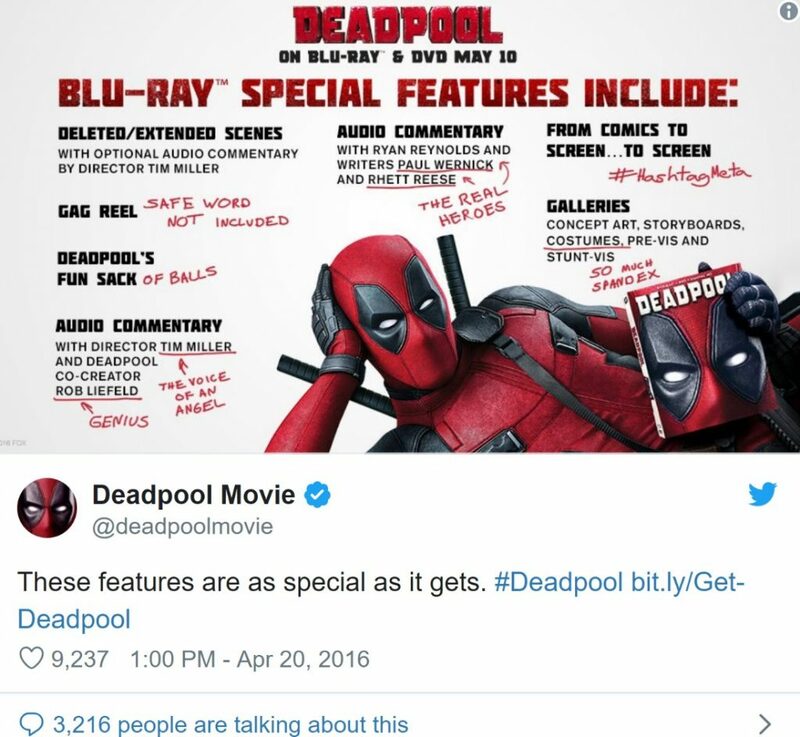 When Deadpool was getting ready to release the DVD/Blu-ray of the movie, the below campaign was launched. The sass and cunningness of Deadpool’s character were rightly portrayed in this post. 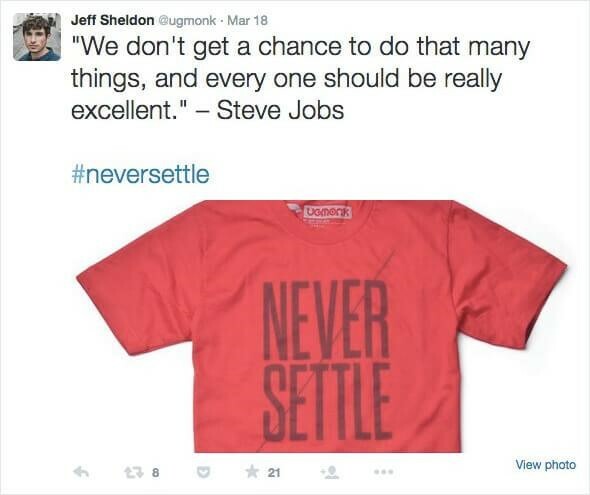 Ugmonk, a clothing, and lifestyle promote one of their products by tying it in line with an inspirational quote by Steve Jobs. 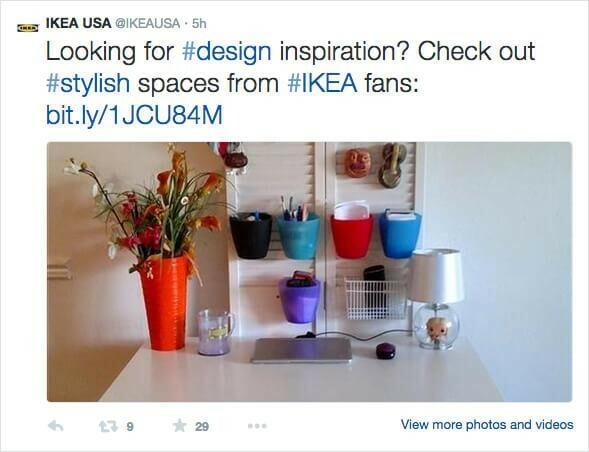 Look at the following user-generated content by IKEA on Twitter which shows real customers getting creative with IKEA products. 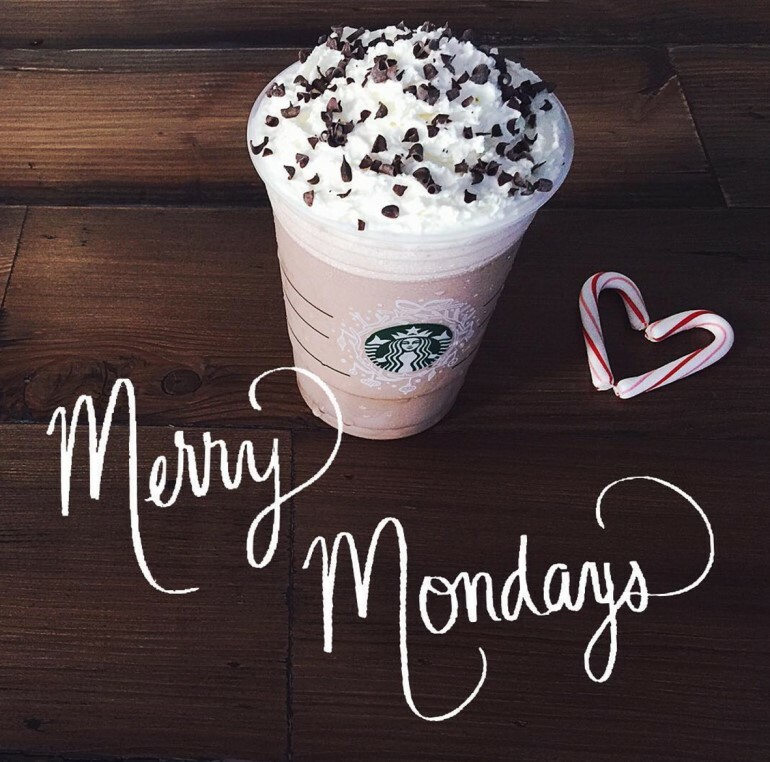 Holiday Posts, like the one below. Hootsuite is a tool which enables you to schedule your posts across all major social media pages at specific times. Available both as a free and paid version, this is an excellent tool to publish and monitor your posts on multiple platforms from one single screen. It also has an “auto-schedule” option which is based on the company’s own knowledge on the best time to post on Instagram or on Facebook. Apart from publishing and monitoring, if you are also looking for an app that will also do the reporting for you, Hubspot is the app to go to. It provides a closed-loop reporting data, which means that you’re not just seeing which channels are giving you the most engagement, you can also track the funnel down further to see which posts are driving actual leads and sales. If you are focusing on just Twitter, you should not look any farther than TweetDeck. Apart from being one of the oldest to be around, it is one of the best too. You can follow several conversations at once with this tool, and it is actually quite fun at times. This is a Trigger-and-action tool. Acronym for ‘If This Then That’, IFTTT is an automation tool that can save you a lot of time while it manages your social platforms effectively. The tool links your website, social media pages, and apps based on a trigger and an action. Based on a particular trigger you create, it starts an action. For example, if you publish a blog (the trigger), then IFTTT will automate and create a tweet (the action) about it. 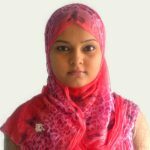 Apart from allowing you to access data and schedule posts from a variety of social media platforms, Raven provides reports from information gathered about pay-per-click (PPC), search engine optimization (SEO), and social media channels. Thus, you get insights on topics like what the best time to post on Instagram is or if SEO is a better channel than PPC campaigns. There is really no magic rule to engage with users. Every brand is different and so are their respective audiences. 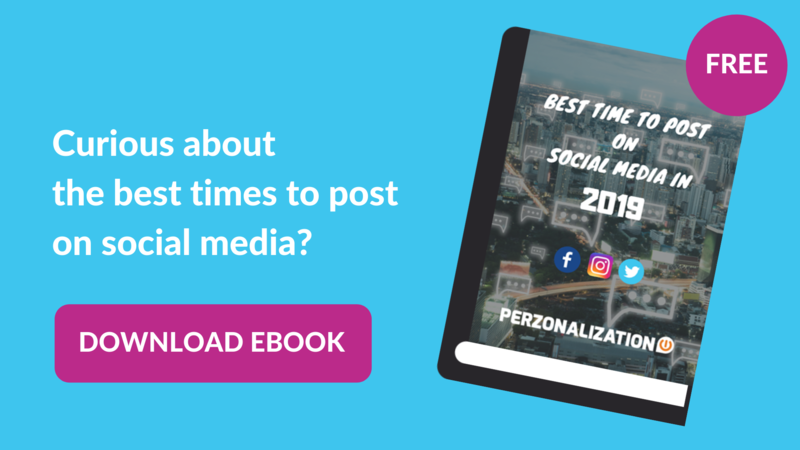 You can always use the data provided in this article as a starting point, but you need to observe, monitor and analyze to arrive at your own best time to post on social media in 2019. So, all the best for the New Year and happy holidays.